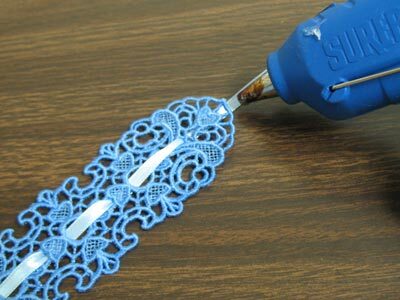 Beautiful freestanding lace can be used to make a variety of stunning embroidery projects, and lace bookmarks are especially elegant. 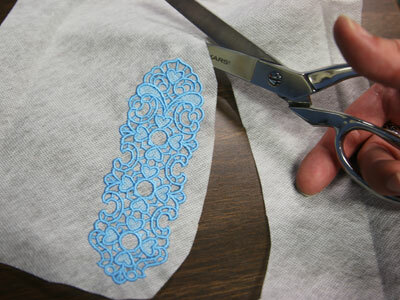 After embroidering, add ribbons and beads for an extra-special look. 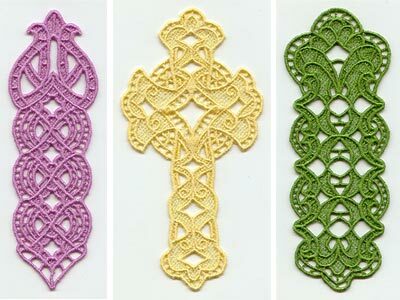 For this tutorial, I used designs from the Faithful Lace Bookmarks design pack. 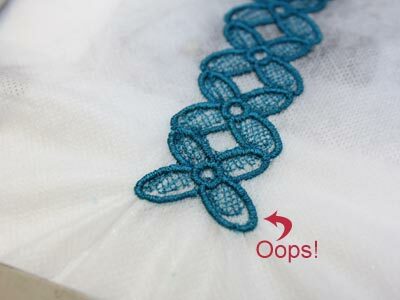 show the steps for adding ribbon. 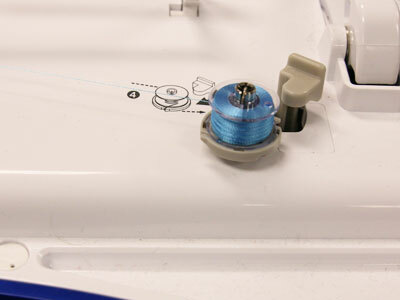 Use a size 11 or 75/11 sharp sewing needle. 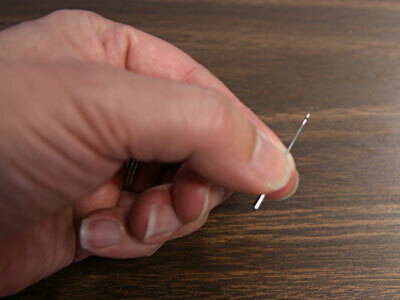 A sharp sewing needle has a smaller, finer point than an embroidery needle. It will make smaller holes in the stabilizer. 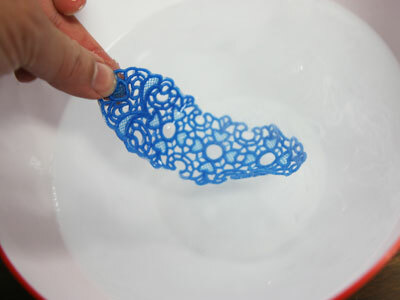 Bookmarks are long and narrow, so take special care to hoop the stabilizer firmly. 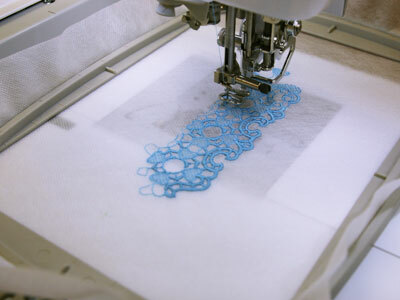 After the bookmark has been pressed, add the ribbon. hole in the center, starting at the bottom. 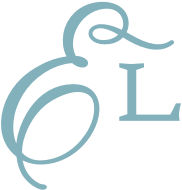 Allow about 7 inches of excess ribbon at the top of the bookmark, and trim the ribbon at the bottom of the bookmark. 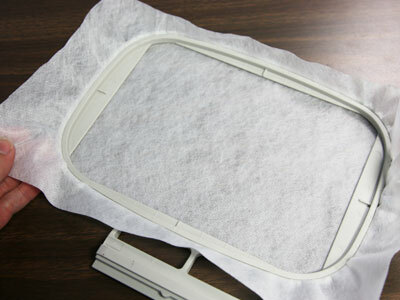 Glue the ribbon in place by adding a drop of glue (hot glue or fabric glue) and pressing the ribbon in place. 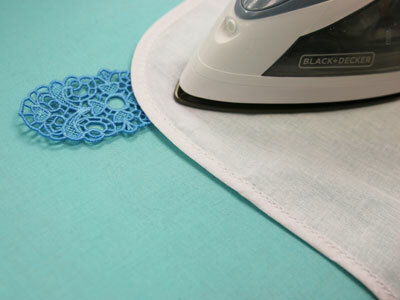 You may also add beads to the ribbon. Tie a knot or two at the end to prevent the beads from slipping off. Then, trim the excess ribbon at the knot. 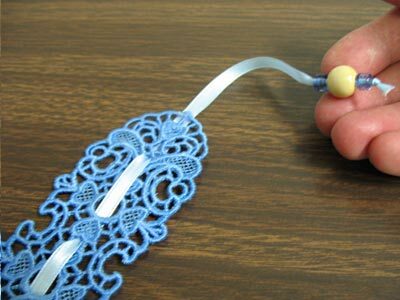 You may need to thread the ribbon through the beads using a small tapestry needle. 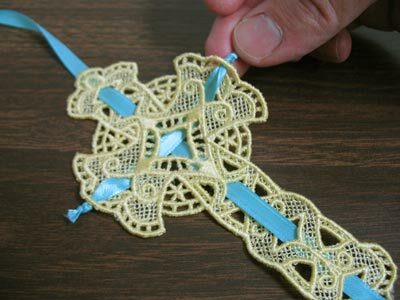 Or, you may cut an angled point at the end of the ribbon and then thread it through the bead. 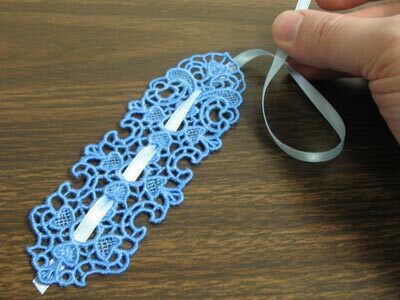 You may also add more than one piece of ribbon to the lace book-mark. In this example, ribbon is threaded through the horizontal and vertical pieces of the cross. 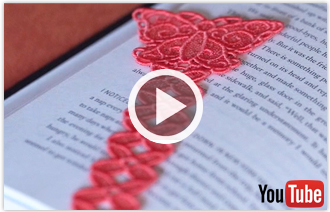 You can also create a "tail" of ribbon by leaving the excess ribbon at the bottom of the bookmark. 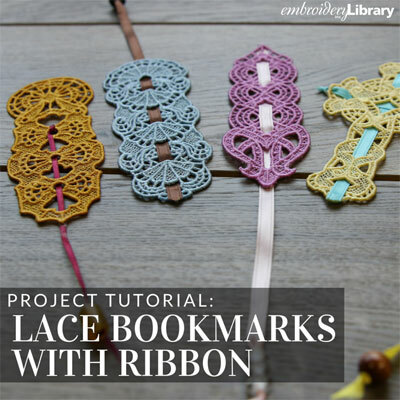 Use different types of ribbon, beads, and weaving techniques to create an array of beautiful looks for your bookmarks. 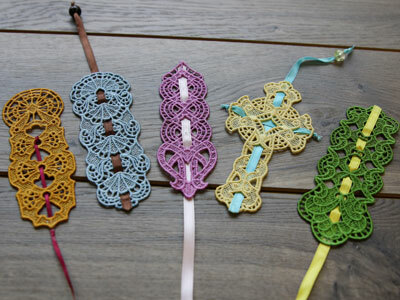 Plus, the freestanding lace bookmarks are fabulous gifts for friends and family. 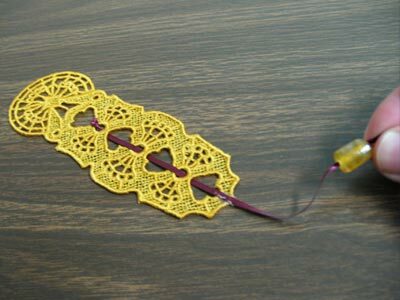 Thread Choice Lace bookmarks are digitized for 40 weight thread, either polyester or rayon. 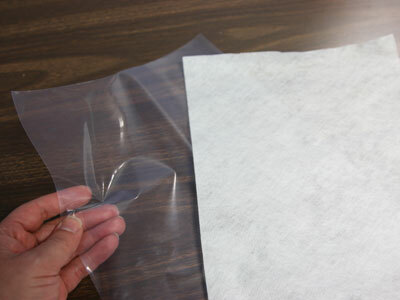 Metallic thread, or 30-35 weight all-purpose cotton /mercerized cotton thread can also be used.